Several varieties of brinjal are grown all around the world. Depending on the cultivar type, they vary greatly in size, shape, and color. Generally, these veggies fall into two broad categories, either oval shaped, or thin and elongated. 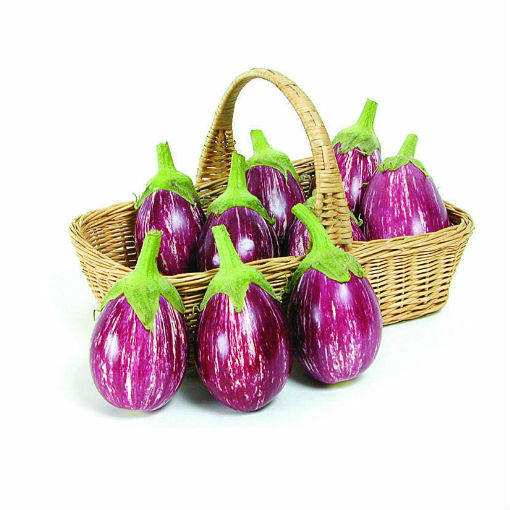 Further, this vegetable is an also good source of minerals like manganese, copper, iron and potassium. Manganese is used as a co-factor for the antioxidant enzyme, superoxide dismutase. Potassium is an important intracellular electrolyte helps counter the hypertension effects of sodium.